Located in a listed building on the edge of Edinburgh’s New Town, ALC, founded by Adele Louise Crombie, features an expertly curated collection of denim for women alongside other contemporary clothing and accessories. 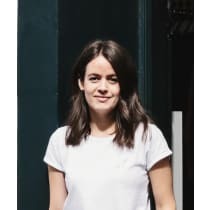 With experience in fashion retail, Adele opened ALC with a desire to remove the stresses of shopping for denim, created by the overwhelming range on the market. By curating the best denim on offer, Adele enables her customers to find great fitting jeans easily, in a relaxing and supportive environment. "I'm always inspired by the creativity and drive of other independent business owners - there is such a community feel in my local area with great support from other retailers on offer."